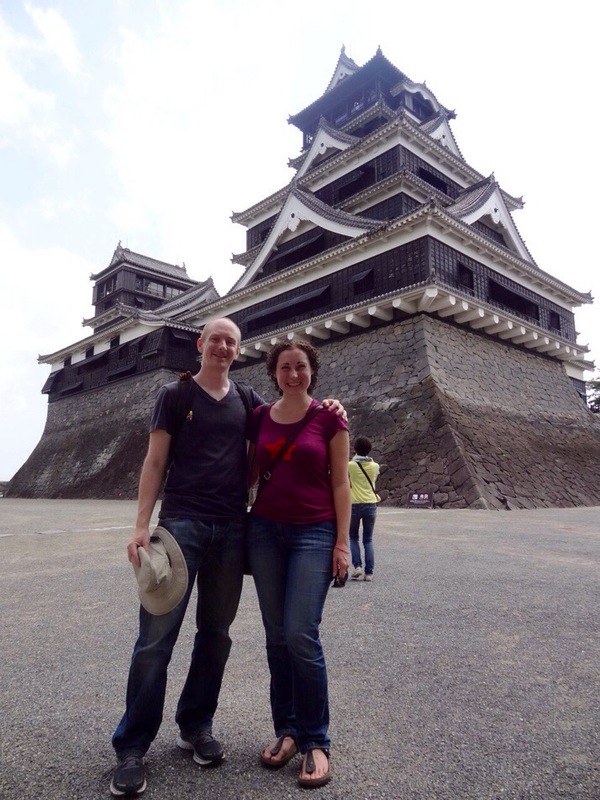 Kumamoto’s Castle is one of many in Japan which have been reconstructed, however it is pretty unique in that it was neither deconstructed during the mass modernisation of the Meiji period at the end of the 19th century, nor bombed during WW2, but destroyed in battle during the Satsuma Rebellion in 1877. The story behind its demise under Saigō Takamori is dramatic and culminated in a 54 day siege but ultimately it is unclear how the fire which destroyed the castle broke out. Saigō’s story inspired the film ‘The Last Samurai’ starring Tom Cruise although Hollywood invented the involvement of an American soldier. 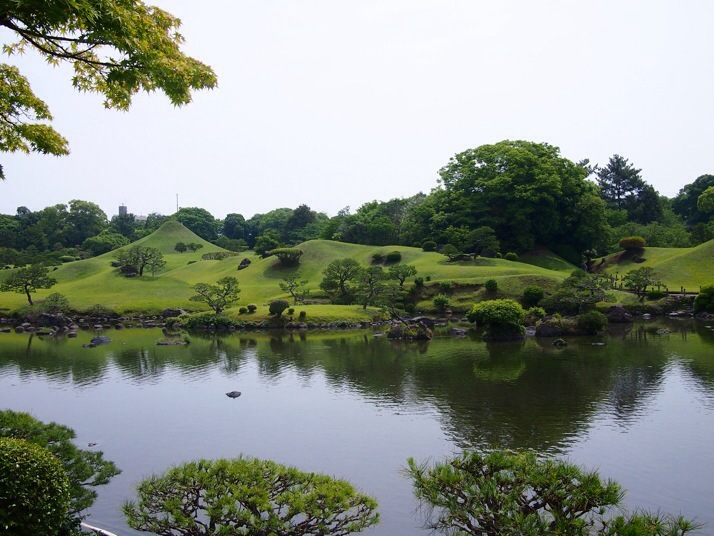 The castle was built in 1607 by Kato Kiyomasa and was widely admired. 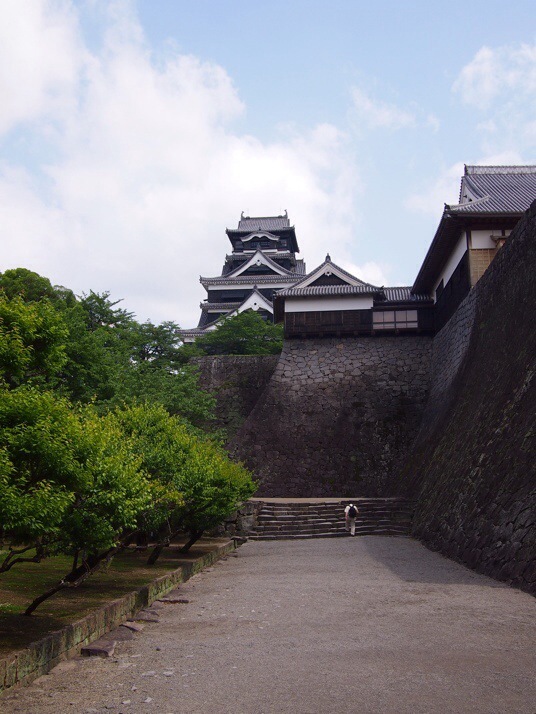 It is a maze of huge stone walls leading to the main buildings, an impressive keep tower which was used for defensive purposes and a reconstruction of the Honmaru Palace where the lord and his family would have lived. In addition there is one turret which is an original structure and several more around the perimeter walls which have been reconstructed. 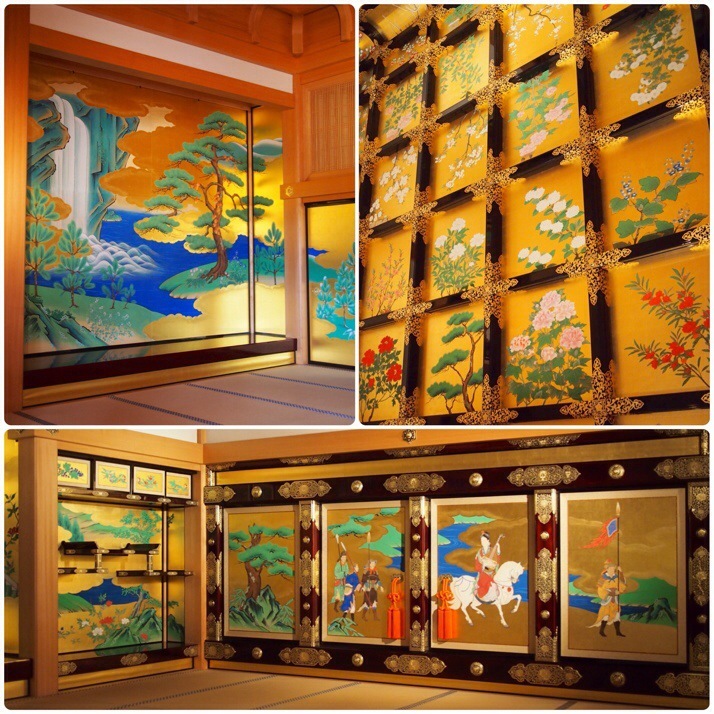 The Shokun-no-ma room in the guest hall of the Honmaru Palace reconstruction is extravagantly decorated in gold leaf and bright colours. Even the ceiling is covered with gold and painted with flowers (top right). 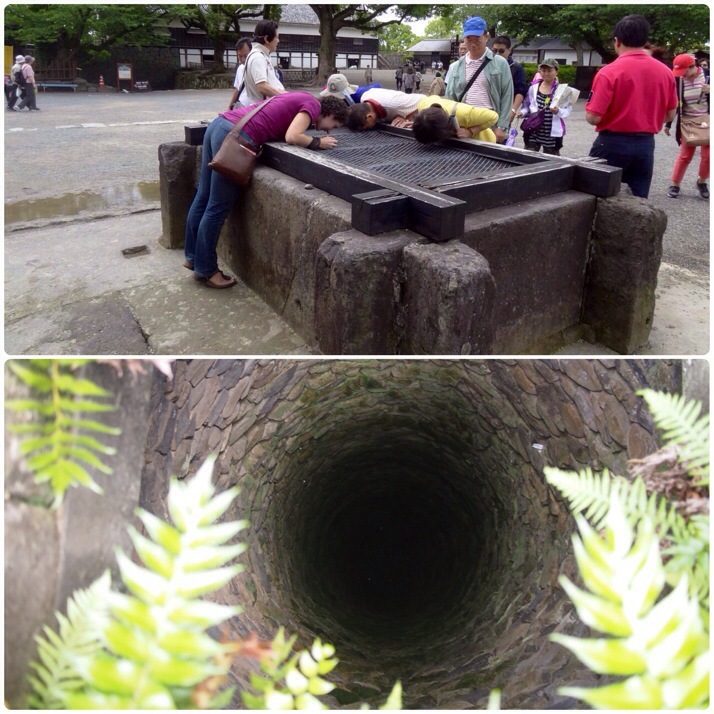 There are several wells around the castle grounds which were used to provide drinking water during the siege period. This one was deep! The garden is quite small and it doesn’t take more than half an hour to walk around it all. Nevertheless the peaceful pond was a lovely place to sit for a while watching the herons, egrets and the ever present koi. 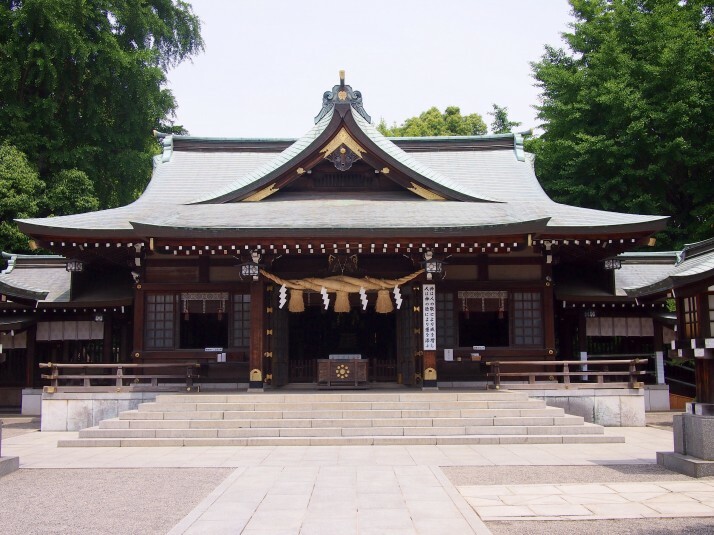 There is a Noh Theater stage in the garden as well as a couple of shrines, one of which features a fountain of longevity. Most Japanese cities have mascots, a friendly looking cartoon character which they use on their tourist materials. 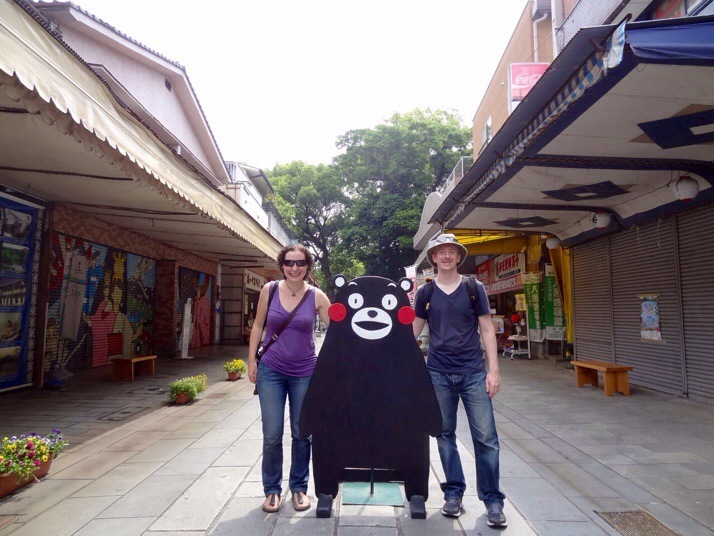 Kumamoto’s mascot is a black bear called Kumamon and he really seemed to be everywhere, popping up on street signs, postcards, T-shirts and even in the lobby of our hotel, often with different expressions. 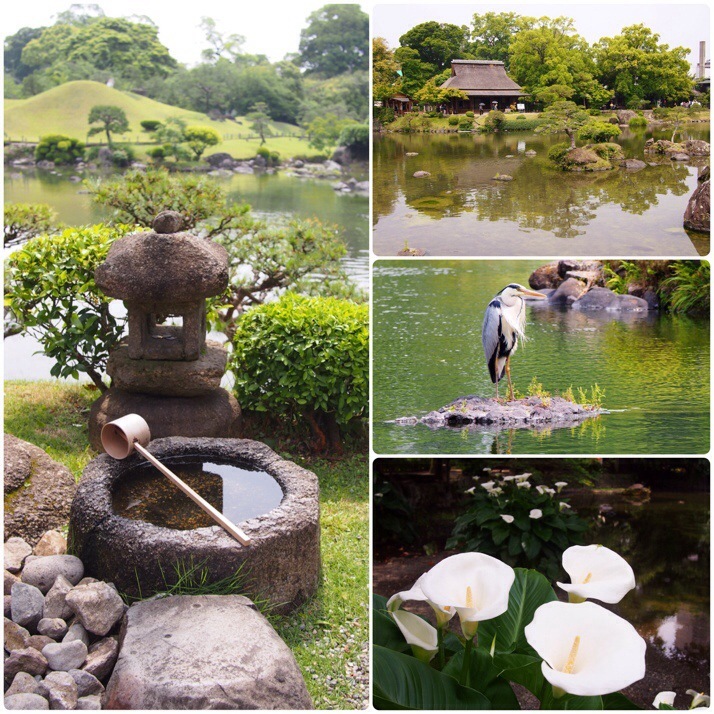 This entry was posted in Places and tagged Castle, Garden, Japan, Kumamoto, Kyushu on June 22, 2014 by Julie. What is 35 + 25 ?